Affordable paralegal services and legal document services located in Paso Robles, CA. We provide quality, low costs legal documents to customers who need legal help. For one fee, we sit down with our customers to gather information and then prepare and process their documents. It is like one-stop shop for legal document preparation. If documents need to be filed with the court, we take care of it for the customer and alleviate the confusion and frustration of the court system. Carl Knoll has worked in the legal field since 1988 and began on his own first as an independent paralegal and since December 2011 as a registered Legal Document Assistant. Carl lives in the beautiful Central Coast of California’s wine country in the city of Paso Robles. Currently Carl’s LDA business serves the San Luis Obispo and Santa Barbara counties and is expanding through Authorized Distributor distribution. Marketing his business is a passion of Carl’s and providing the best possible service to his customers is a promise. We are an affordable alternative to using a lawyer located in San Luis Obispo County. 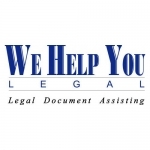 We provide quality, low costs legal documents to customers who need legal help. For one fee, we sit down with our customers to gather information and then prepare and process their documents. It is like one-stop shop for legal document preparation. If documents need to be filed with the court, we take care of it for the customer and alleviate the confusion and frustration of the court system. Carl Knoll has worked in the legal field since 1988 and began on his own first as an independent paralegal and since December 2011 as a registered Legal Document Assistant. Carl lives in the beautiful Central Coast of Californiaӳ wine country in the city of Paso Robles. Currently Carlӳ LDA business serves the San Luis Obispo and Santa Barbara counties and is expanding through Authorized Distributor distribution. Marketing his business is a passion of Carlӳ and providing the best possible service to his customers is a promise.